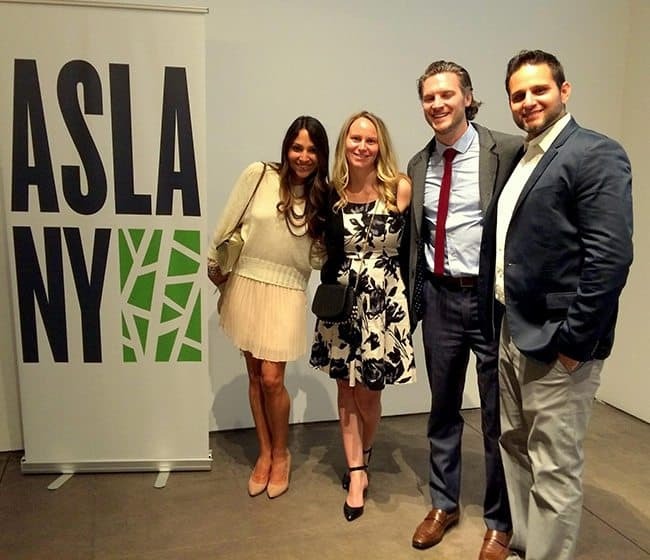 The 2015 ASLA-NY Design Awards were presented at the ASLA NY’s Spring Party event and reception in NYC last week. 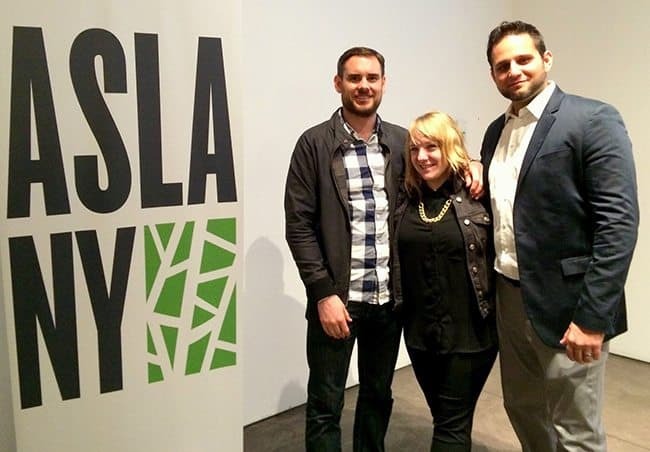 The award-winning projects will be on exhibit through April in the Gallery at the Center for Architecture (AIANY) in celebration of World Landscape Architecture Month. 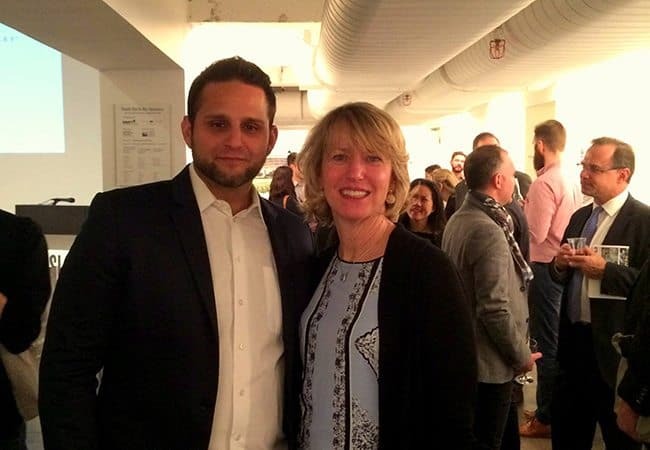 Pictured here is Green Island Design’s very own Senior Architectural Landscape Designer, Mark Pappalardi with the ASLA-NY Director, Kathy Shea along with Landscape Architect Steven Yavanian, Dan Thorp (LA) of LaGuardia Design, and more ASLA-NY members.